Diamonds are not only gemstones, but they are the hardest natural substance known. The hardness of every other material is measured against it, and it is used to cut through every other type of crystal, including itself. A diamond is made of pure carbon, but that’s not what makes it hard. Graphite is also made of pure carbon, but it is soft. The difference is how the carbon atoms, with their six electrons each, are arranged in the crystal. The arrangement, coupled with great symmetry in many directions, gives a diamond its hardness. 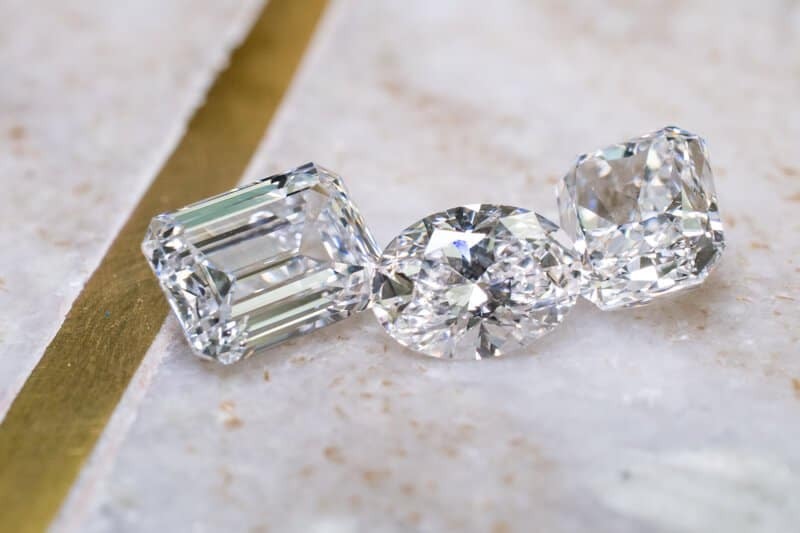 The diamond’s hardness made it challenging to cut for early lapidists, but they found if they cut along lines of symmetry the exposed faces revealed an exceptional brilliance. Cutting, polishing and faceting the diamond brought out an unrivalled fire and sparkle. As of 2018, the most popular cut for a diamond is the round brilliant cut, which reflects the most light through the front of the gemstone. Why Are they Used for Wedding Jewellery? The strength and breathtaking beauty of a well-cut diamond has been a symbol of love and romance for centuries. Historians believe that the first engagement ring set with a diamond was presented to Mary of Burgundy by Archduke Maximilian of Austria in 1477. With the discovery and exploitation of the extensive diamond mines in South Africa, diamonds became even more associated with love. In 1947, the South African diamond company DeBeers coined the slogan, “A diamond is forever.” The success of this ad campaign all but guaranteed that a proper engagement ring be set with at least one diamond. Diamond companies aren’t the only ones who associate diamonds with love. People who attribute powers to crystals believe that he diamond brings love and clarity into the marriage and enhances a husband’s love for his wife. The jewel’s piercing light clears away fear and emotional and mental pain. The guidelines used to assess the quality of a diamond are more stringent than those used for other gemstones. A perfect white diamond is flawless, colourless, large and perfectly cut. The reality is that most diamonds have flaws even if they can only be seen under a jeweller’s loupe. Most of them also have a tiny amount of yellow. The ultimate size and cut of the diamond rests in the hands of the diamond cutter. There are diamonds that are supposed to be coloured, and they are judged by somewhat different criteria than diamonds that are supposed to be colourless. A diamond with a deep, rich colour can cost more than a colourless diamond of the same size. Experts recommend that a buyer who is purchasing an especially large or high-quality diamond should check that it’s been certified by a gemological laboratory such as the GIA. The certification should be no more than six months old, and the diamond must not have been worn since it was certified. 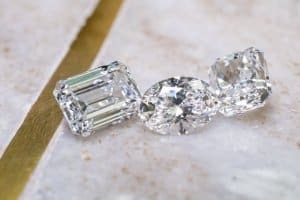 The jeweller should also be aware of that the diamond is certified and should belong to a trade organization that keeps them and their staff up-to-date on the latest trends.